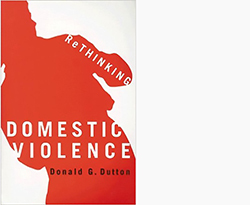 This comprehensive book does an extraordinary job of reviewing the literature regarding all aspect of domestic violence. Also author of the outstanding The Abusive Personality (CH, Mar’99, 36-4189), Dutton (psychology, Univ. of British Columbia) provides an in-depth theoretical discussion that gives the reader an overview of research (both practical and applicable) on offending and victim behavior. He also assesses policy implications and provides a range of risk assessment tools, information that is critical for working with this population. But what sets this book apart from other resources is Dutton’s skill at offering a meta-analysis approach that is accessible. Everyone interested in domestic violence issues or treating domestic violence problems should read this book. Summing Up: Highly recommended. Graduate students, researchers, faculty, and practitioners.